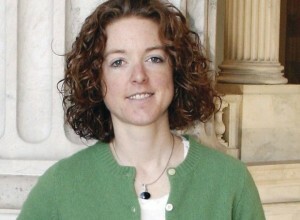 WASHINGTON (January 25, 2016) – Iraq and Afghanistan Veterans of America (IAVA), the largest nonprofit, nonpartisan organization representing post-9/11 veterans and their families, announced the appointment of Allison Jaslow as Director of Political and Intergovernmental Affairs. Jaslow has joined the team to support IAVA’s growing Washington, D.C.-based policy operations. As Director of Political and Intergovernmental Affairs, Jaslow supports the development of IAVA’s annual policy agenda and advocacy campaigns, and leads IAVA’s engagement with other Veterans Service Organizations, government agencies and advocacy organizations. Jaslow is a former Army Captain who served two combat deployments in Iraq and has a diversity of experience that includes stints on political campaigns across the country, in the White House and on both sides of Capitol Hill. She recently served as chief of staff and campaign manager for Congresswoman Cheri Bustos (D-Ill.) and was also press secretary for Senator Jim Webb (D-Va.), where she was involved in the veteran leader’s efforts to protect the legacy of the Post-9/11 GI Bill. Jaslow graduated from the University of Central Missouri, where she was a proud member of the Fighting Mules ROTC Battalion, and serves on the Board of Trustees at Wentworth Military Academy and College, where she began her undergraduate study, located in Lexington, Mo. Jaslow joins IAVA’s staff based in New York, California, Washington, D.C. and Atlanta, which includes a mix of veterans and civilians who represent diverse areas of expertise and backgrounds. All IAVA staff demonstrate a deeply personal and professional commitment to the veteran community.